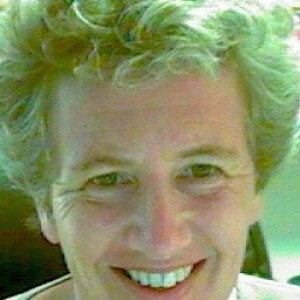 Pippa Norris (born 10 July 1953) is an Anglo-American political scientist living in Cambridge, MA, Cape Cod, and Sydney. Since 1992 she has held the position of the Paul McGuire Lecturer in Comparative Politics at the Kennedy School of Government, Harvard University. Since 2012, she has also held the positions of the Australian Laureate Fellow and Professor of Government and International Relations at the University of Sydney, and Director of the Electoral Integrity Project.She is ranked the 4th most cited political scientist in the world by Google Scholar. She ranks as the 2nd most downloaded political scientist in the Social Science Research Network. In 2006-2007, while on leave from Harvard, she served as Director of UNDP’s Democratic Governance Group, Bureau for Development Policy in New York. She currently serves on the executive committee of the World Values Survey, and the Advisory Board for International IDEA. She is Vice President of the American Political Science Association. PUBLICATIONS: She has published around fifty books, many for Cambridge University Press. This includes books comparing women in elected office (Politics and Sexual Equality and Rising Tide), elections, public opinion, and voting behavior (On Message, Critical Citizens) the impact of the news media (A Virtuous Circle, Cosmopolitan Communications, and Digital Divide); comparative studies of religion (Sacred and Secular); democratic governance (Driving Democracy and Making Democratic governance Work); and electoral integrity (the book trilogy for Cambridge University Press on Why Electoral Integrity Matters, Why Elections Fail, and Strengthening Electoral Integrity)HONORS AND AWARDS: In 2004, Norris was given the Virginia A. Hodgkinson research prize by the Independent Sector for Sacred and Secular (with Ronald Inglehart)In 2006, Norris received the Doris A Graber award from APSA’s Political Communication section for the best book published in political communications for A Virtuous Circle.In 2011, Norris and Ronald Inglehart were awarded the Johan Skytte Prize in Political Science for "contributing innovative ideas about the relevance and roots of political culture in a global context, transcending previous mainstream approaches of research". In 2011, she received the Kathleen Fitzpatrick Laureate Fellowship from the Australian Research Council.In 2014, she was given the Karl Deutsch Award from the International Political Science Association ‘to honor a prominent scholar engaged in the cross-disciplinary research.’In 2016, she received the Brown Democracy Medal by the McCourtney Institute, Pennsylvania State University for “exceptional innovation in the advancement of democracy in the United States or around the world.”In December 2017, Norris was awarded the Sir Isaiah Berlin Prize by the PSA 'for the significant contribution she has made as a major political thinker and in helping to shape academic research on democracy, electoral integrity, and populism–all issues that are relevant now more than ever. 'Other honors include a Doctor Honoris Causa awarded in 2011 by the University of Edinburgh, Doctor of Laww Honoris Causa in 2017 by Warwick University, the 2016 Choice Outstanding Academic Title for Why Elections Fail, the 2016 Academic Leadership in Political Science award by the Australian Political Studies Association, and the Political Studies Association of the UK 2011 'Special Recognition' award, as well as awards to support her research from the Economic and Social Research Council, the National Science Foundation, the Nuffield Foundation, the Pew Charitable Trust, and the Hansard Society.